A gallery of photographic prints of the Appalachian town of Blowing Rock, up north west North Carolina. 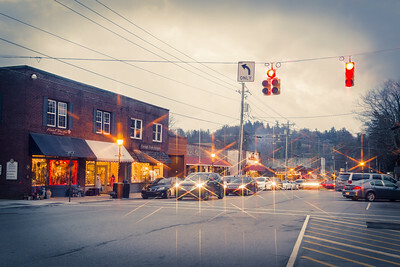 It's not often that I break out the star light filter, but I was experimenting with this shot a little, trying to add as much vibrant colour into this high street shot in Blowing Rock, North Carolina, 2016. Blowing Rock is one my favourite places in the Appalachian Region, a picturesque little town tucked away in the shadow of Grandfather Mountain. 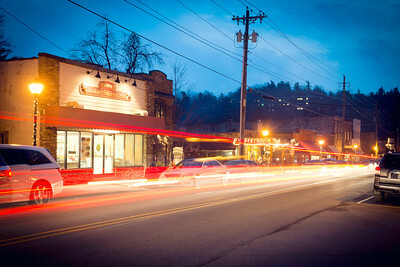 This is Main Street, the main drag through this High Country gem. 2016. 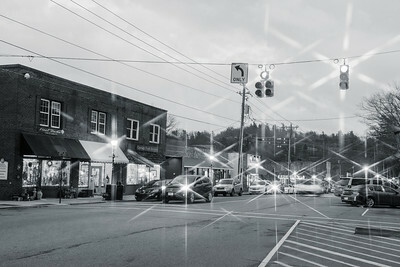 Some light trails from passing cates on Blowing Rock High Street in the North Carolina High Country, 2016. Some great little shops on display here - the Kilwin's ice cream parlour and my favourite - the Sixpence British pub. 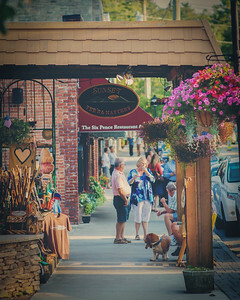 A simple look down the High Street in Blowing Rock. I love this place; a little gem in the foothills of North Carolina. Some great little pubs, and confection shops. 2017.